Types of units: All units feature outdoor space with private roof gardens or terraces, some have fireplaces. How to sell a property for the most amount of money at the worst time of the year? With an end of selling for 100% of list price with a single offer on a cold and icy January, I created an independent website, advertised aggressively online, made sure the property was easy to view, well presented, and accurately priced. While there may be plenty of developers battling to outdo one another with glassy skyscraper condominiums and over-the-top amenities, their antics happily haven’t affected the appeal of one of the most time-honoured, classic forms of housing - the walk-up apartment. Seeking possibilities outside the traditional single family house or ‘doorman with elevator’ condo, home buyers may well be inspired by this completely unique alternative. 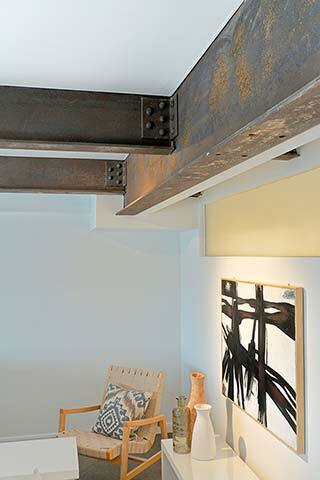 The combination of classic bones mixed with new open space can be hard to find in more traditional residential types. Luckily for the buyers braving this January freeze, one such special place has just come on the market. One of only twelve suites available in Printer’s Row, this handsome Riverdale walk-up is situated just south of Withrow Park, on leafy Logan Avenue. For those who prefer the charm of old buildings, there is plenty to love about the building, and the spacious three storey, two + bedroom suite for sale, in particular. The main living space is dominated by the almost 10’ high South-facing windows that bathe the double height living room and upper mezzanine in beautiful light all day long. 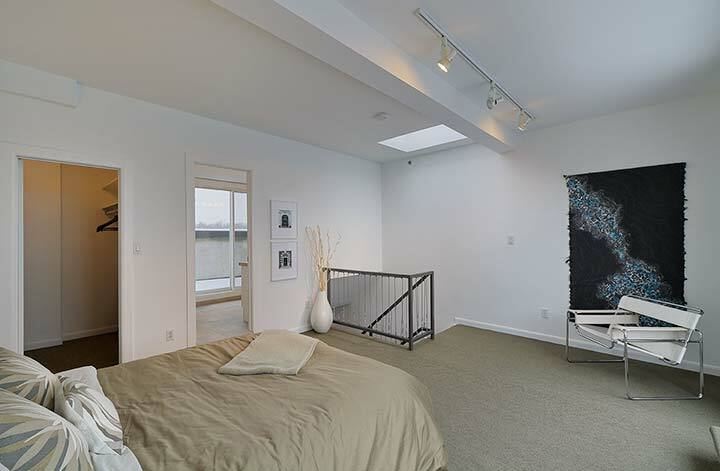 Continuing this theme, the third floor master bedroom has floor to ceiling windows to the North and South as well as a large skylight, creating a unique sense of open light and space within the urban core. 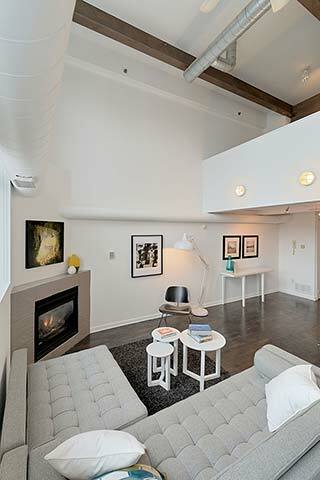 This penthouse unit in Printer’s Row offers uniquely expansive views to the North and South, with terraces on either side of the top floor bedroom retreat. Rising above the surrounding homes, the treetop view goes on for miles. Your outdoor space could not be more private. Offering simple amenities, requiring no salary for a doorman nor upkeep for an elevator, means the monthly condo element charges remain relatively low. For this 1,400 square foot penthouse, the monthly condo fee is approximately $550, unusually low for a condo after more than twelve years of existence. With no lobby standing between you and the community, Printer’s Row offers one an immediate connection to this enviable neighbourhood. Walking and biking have been designed into the fabric of daily life, with close proximity to groceries, parks, shops, the subway, and with dedicated, secure bike storage on site. That said, the undeniable benefit of having covered parking is here too! Printer’s Row was completed by renowned loft conversion developer Bob Mitchell in 2001. It was originally designed by architect W. F. Carmichael in 1911, as the Bell Telephone Company’s world headquarters. Now comprising twelve bright and spacious two and three storey lofts, this discreet, intimate walk-up offers lofty, low-maintenance living in one of the most appealing neighbourhoods in town.